You are cordially invited to the Tutu’s complex, a four-story complex situated on the banks of the River Thames, with glorious views of Southbank, for an unforgettable night of Iranian culture, dinner, live music, comedy, art, DJ sets, and dance, with many more surprises. On Sunday 24th March, we will be welcoming guests from 6.00pm to enjoy a reception, before escorting you to the main room to enjoy an exquisite three-course dinner (Persian cuisine) and a powerhouse entertainment line-up together with other surprises until 9.00pm, after which our DJs will take over the decks to play the best of Persian, Funky House, and Middle Eastern music for you to dance the night away. This will be a night to remember. As it has been the case over the past several years, this eagerly awaited event is going to sell out fast, so please book your tickets early before they are all gone. Everyone is welcome (students and non-students). So please do feel free to invite friends to join you for this fantastic event as we all gather together to celebrate Norouz. 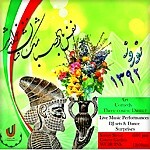 United Universities of London Iranian Societies is a non-political, non-religious organization. 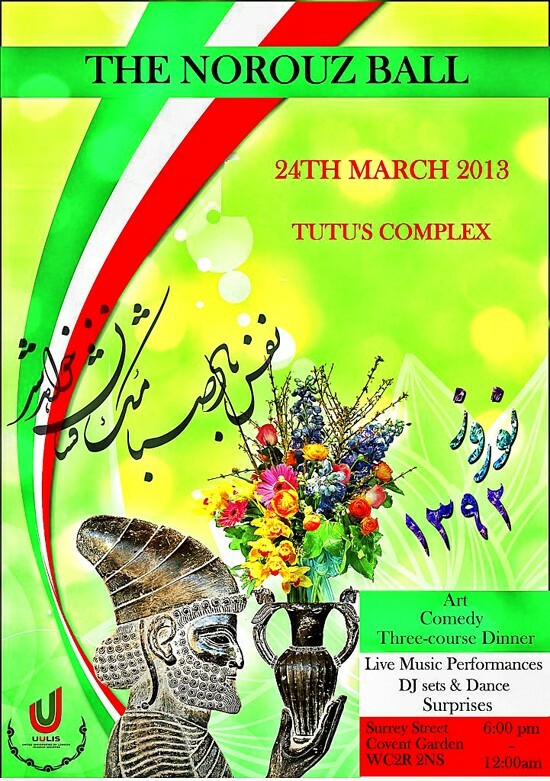 Its objectives shall be to bring all the London’s Iranian student societies together- to promote the Persian culture, traditions, language, history, music and hospitality. To unite all the societies for a greater cause, the welfare and interests of Iran and all the Iranian students in London.